From decorating your log home fireplace to keeping it clean and safe, this assortment of hot hearth-related products is sure to get you fired up about winter weather. 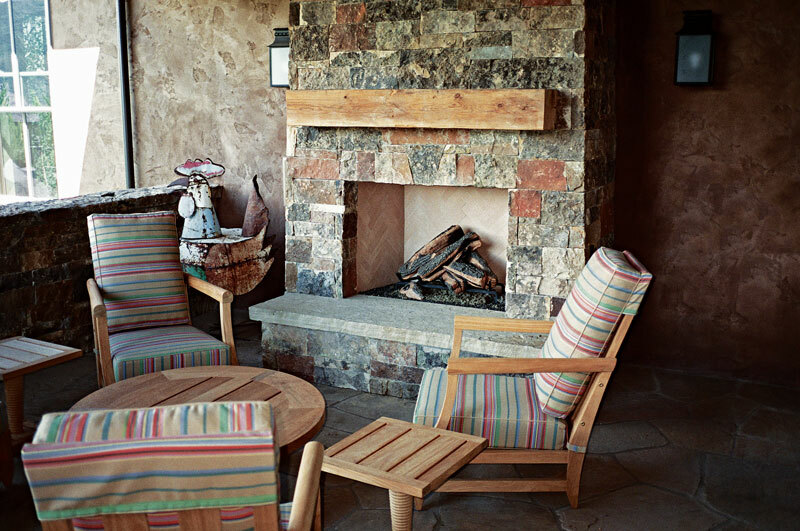 Give your fireplace distinctive style with a new manufactured-stone facing by Eldorado. The LedgeCut 33 offers 3-inch-high stones with three different lengths to provide a natural random look. The product is available in two colors: birch (shown) and dune. Ninety-degree corner pieces offer a full-stone appearance. See more at: eldoradostone.com. Salvaged wood gives the mantels from Elmwood Reclaimed Timber unique character. Available in a variety of sizes and finishes, the mantels still bear saw marks from when the beams were originally milled more than a century ago. See more at elmwoodreclaimedtimber.com. This amusing squirrel will spark as many conversations as it will flames. The 5-inch-tall squirrel is made from white porcelain bisque. The textured surface of the base ignites strike-anywhere matches, which are easily stored in the squirrel’s acorn basket. See more at jonathanadler.com. Putting on wet mittens and boots is a winter-weather bummer. The Cedar Hearth drying rack makes soggy shoes and clothes warm and toasty. The rustic style rack is made of durable steel for years of use by the fire. See more at wayfair.com. A dreaded chore just got easier with this stainless steel ash vacuum that works on both warm and cool ashes. The 10-foot hose and wheeled base make cleaning your fireplace or wood stove a breeze. The vacuum comes with crevice and brush tools and can be used with ashes as warm as 140 degrees. See more at plowandhearth.com. A gently curved firewood rack by Pleasant Hearth brings a touch of contemporary style to your log home inglenook while keeping logs and kindling handy. Made of powder-coated steel, with a pewter finish, the durable rack has side grips for easy transport. See more at wayfair.com.